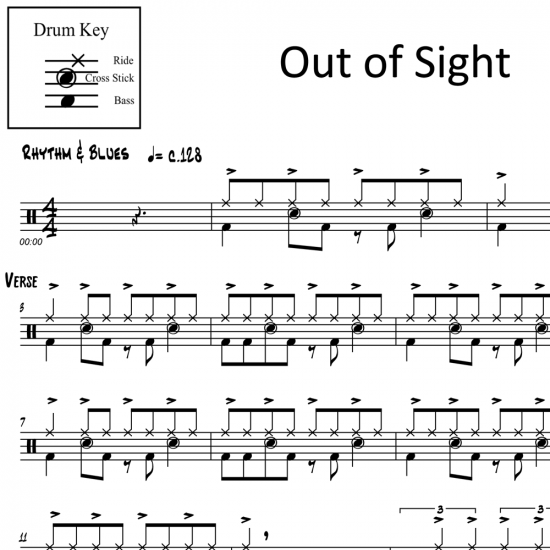 The full drum sheet music for “Out of Sight” by James Brown from the album Out of Sight (1964). 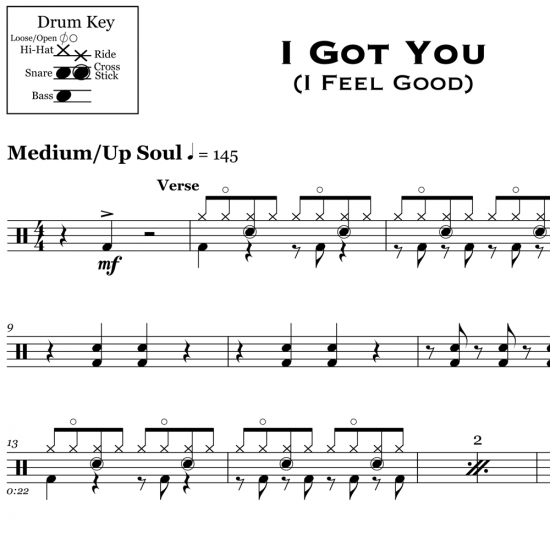 Melvin Parker plays a simple groove to keep this song moving along and accents the rest of the band with well-placed, quarter-note triplets throughout. This is a great piece for working on timing quarter-note triplets. The full drum sheet music for "I Got You (I Feel Good)" by James Brown from the album I Got You (1965).